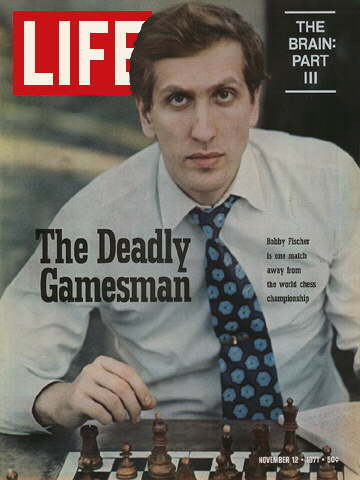 This picture is how I will always remember Bobby Fischer.. the young man who made chess players cool.. well sort of.. in the same way that Bill Gates made computer nerds (like me) cool. He died in Iceland (his adopted home) on Thursday from kidney failure and was just 6 years my senior. I am sad at his passing. Bobby Fischer was the troubled American chess genius who became a Cold War icon. In 1972, the same year Canada defeated the Soviet Union in the classic hockey series, Mr. Fischer shattered the myth and the might of the Soviet chess system when he defeated world champion Boris Spassky in a thrilling drama played out in the Icelandic capital Reykjavik. "His importance was huge, his influence was huge," said Hal Bond, president of the Chess Federation of Canada. "When he played Spassky, it was an American named Bobby playing a Russian named Boris and every other stereotype was true. He was the maverick American playing against the establishment Russian. He showed up in Iceland on his own, Spassky arrived with a state-sponsored entourage. Fischer was the American-dream kind of player who achieved everything through his own intense effort." In a statement to the New York Times from France yesterday, Mr. Spassky said he was "very sorry" to hear of his famous opponent's death. The two men had remained in contact and on friendly terms since 1972. Canadian federation president Mr. Bond, who has met Mr. Spassky several times, said the Russian always spoke positively about Mr. Fischer. "They had known each other for a long time and they respected each other," said Mr. 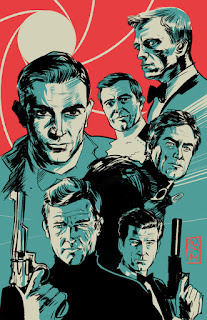 Bond. "Spassky never spoke ill of him." Mr. Fischer, who was said to have had an IQ greater than Albert Einstein's, became the youngest U.S. national champion at 14 and a grandmaster at 15. "The gap between Mr. Fischer and his contemporaries was the largest ever," fellow grandmaster Garry Kasparov wrote in the Wall Street Journal in 2004. Bill Clinton has a Dream..